If you have ever dreamed of staying in a castle, dream no longer. 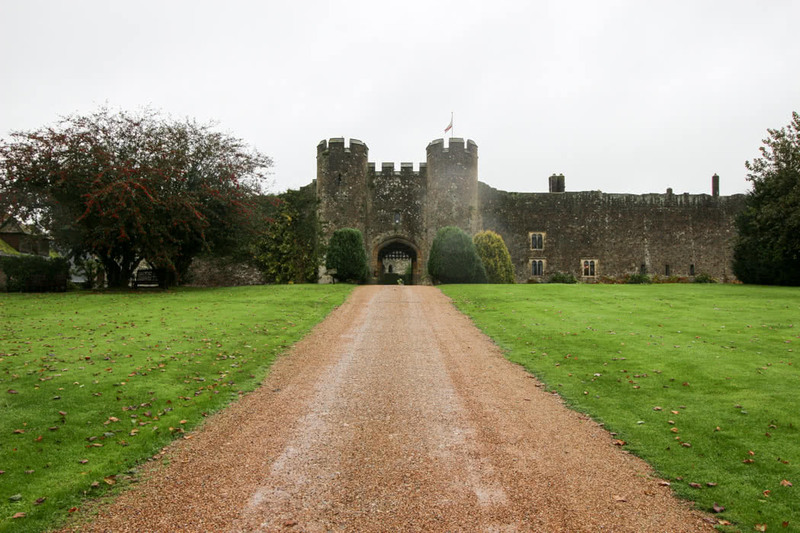 At Amberley Castle, you can live a real-life fairytale. When we stayed here last week; my highlight was waking up and looking out at the old, misty, castle walls. My son preferred the coats of armour and all the weapons that hung on the walls of the great hall, including historic pistols, spear guns and a large selection of swords. This castle is both romantic but also a real-life slice of history with the weapons and battle wounds to enjoy. 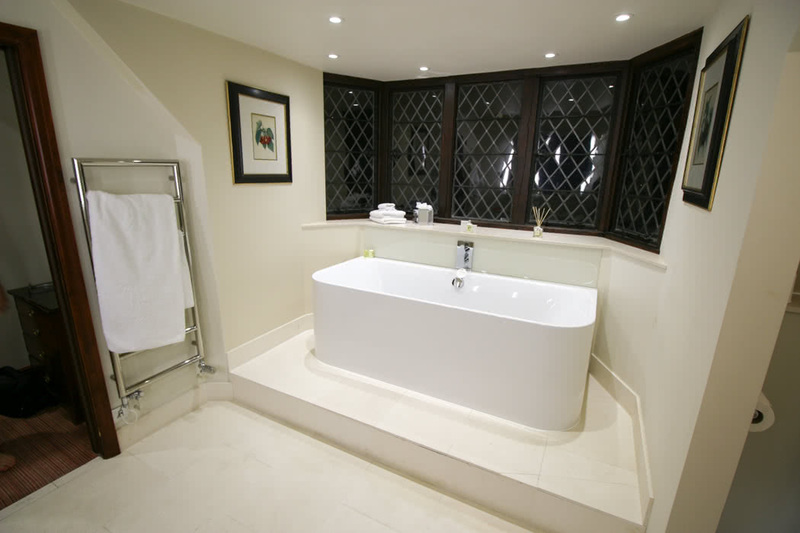 The hotel is situated in the middle of the South Downs, surrounded by fields and is on the edge of a tiny village called Amberley. 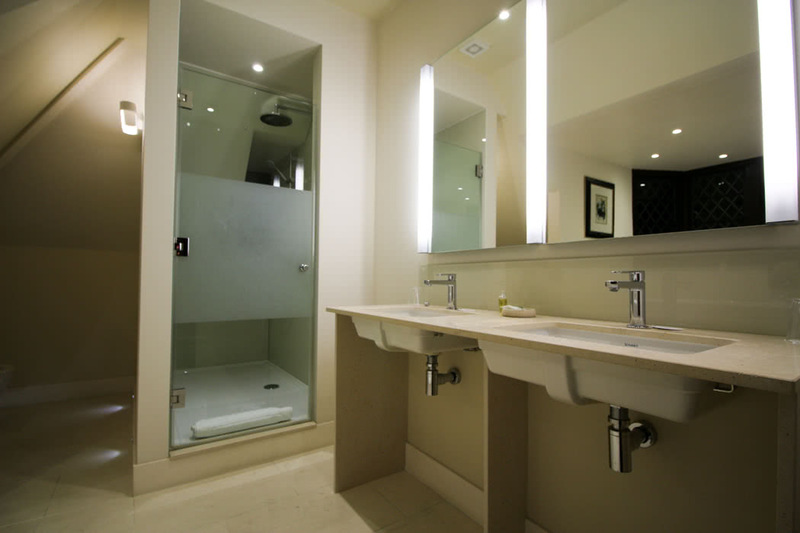 It is conveniently close to Amberley railway station, which is less than 5 minutes drive from the hotel entrance. 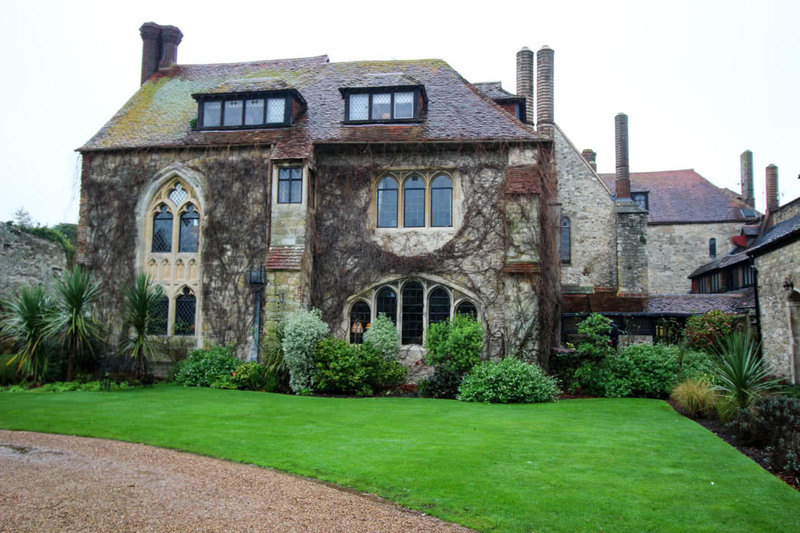 If you are based in London, Amberley Castle is only just under two hour’s drive away. 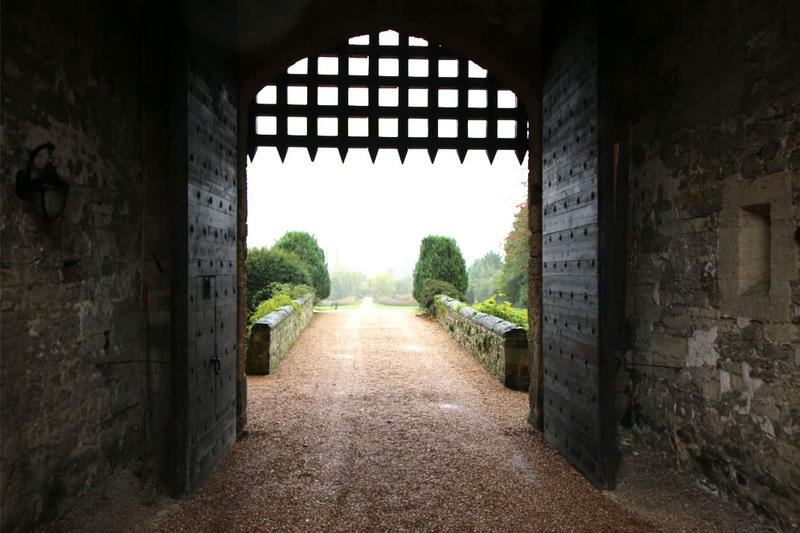 If you fly into Gatwick you are less than an hour away from this real-life castle. 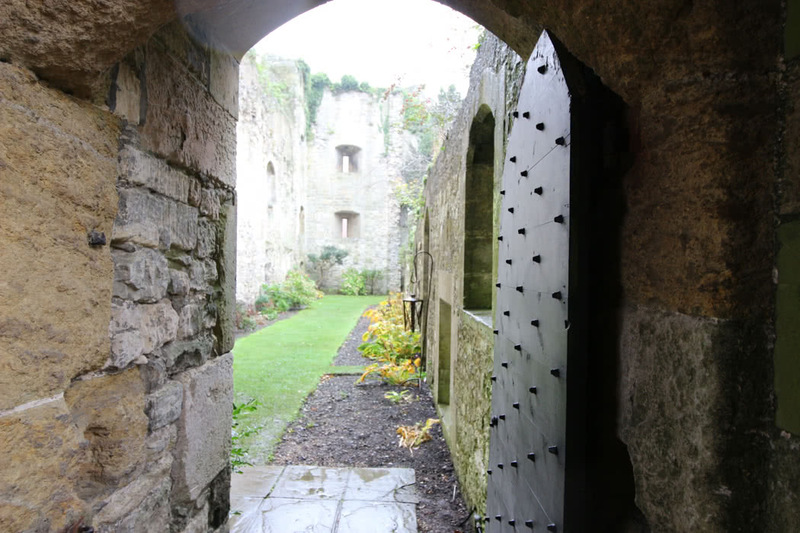 Originally built in 1103, this castle comes complete with a portcullis, a moat (although the floor of the moat is now lawned for playing croquet! ), numerous cannons, coats of armour and weapons. 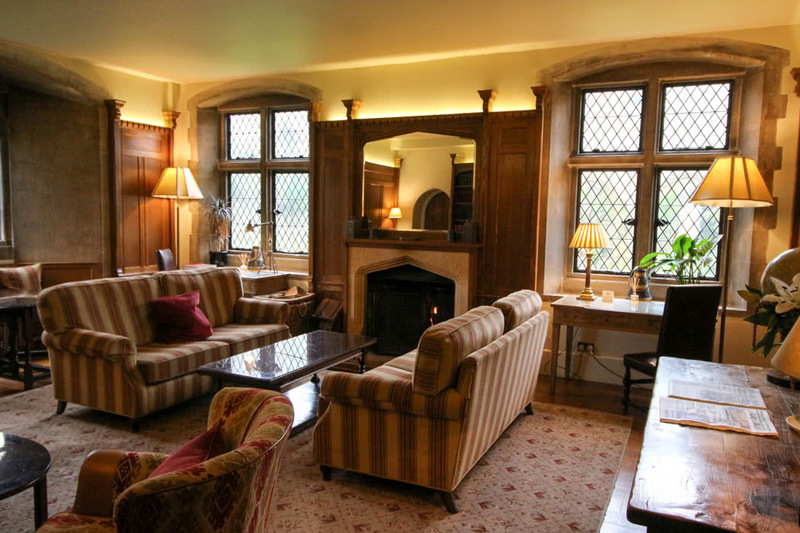 I have stayed in many hundreds of luxury hotels and not one of them matches Amberley castle for genuine Olde World ambience. You park just outside the castle and then walk up the impressive driveway and through the massive arched doorway of the castle. To look at from the outside, it is a castle from a children’s storybook. I have to admit that I was rather thrilled to see a black, wooden portcullis hanging down from the roof ready to drop and protect the residents inside. Once inside the castle walls, the main building that houses the hotel is located to your right. 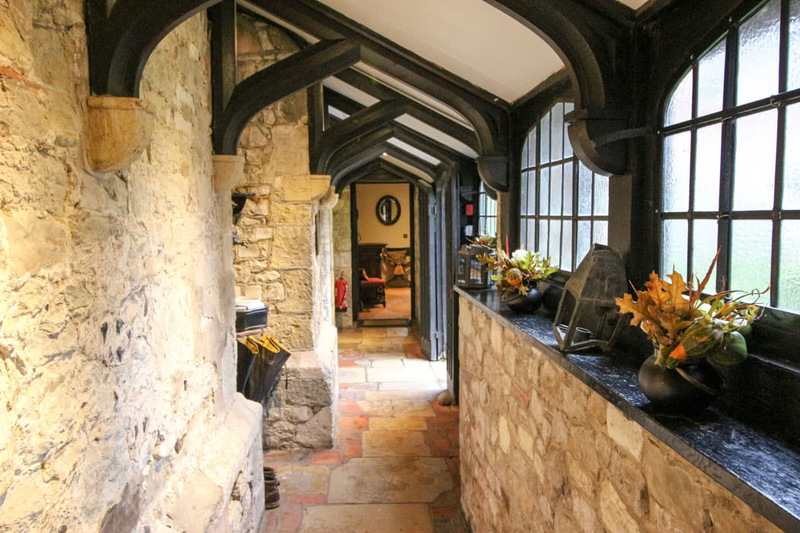 This stone building is covered in old vines and has windows like a church. If you, like me, collected ceramic ‘David Winter Country Cottages” in the 1980’s; this building would have been one of his best. The entrance to the hotel is down a tiny pathway edged with an immaculate flowerbed full of pansies. You then walk down an old-fashioned, beamed passageway to reach the regal reception in the centre of the building. 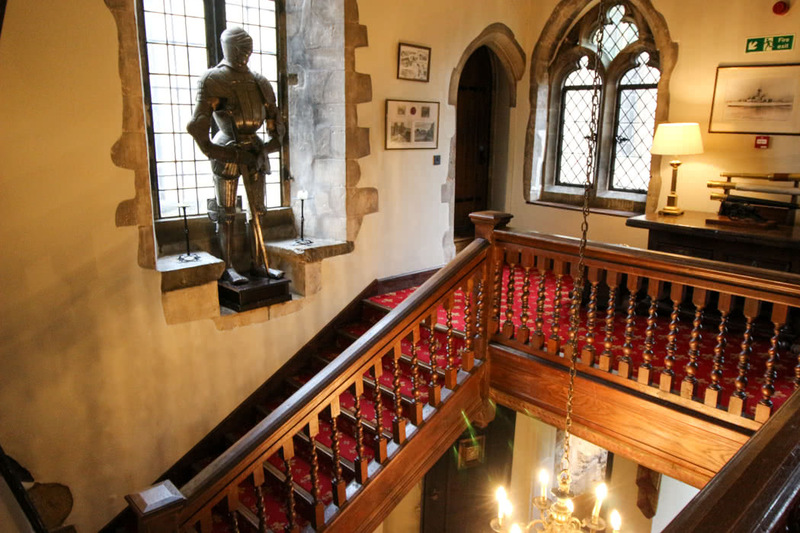 From the reception hall you can either take the windy stairs up past a coat of armour to the main hall for eating and then up to the rooms, or you can veer left into one of three drawing rooms, all complete with roaring fires, to enjoy an afternoon tea or a gin. 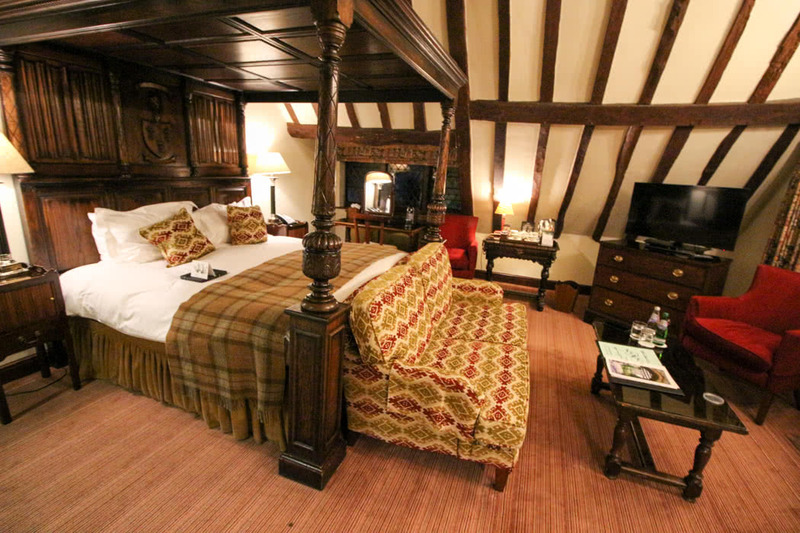 This hotel is tiny, with just The 19 luxurious guest rooms, 3 drawing rooms and the magnificent Queen’s Room restaurant, with a barrel-vaulted ceiling dating back to the 12th century. This is a place to come and relax, enjoy your surroundings and the fine food. This is not a hotel packed with activities. That said, they do have a croquet lawn and a professional standard 18-hole putting course, designed by renowned golf architects Weller Design. If you don’t want to put, you can instead simply wander through the garden which has two lakes, and views across the South Downs. Our room was located on the third (top) floor of the building within the castle walls. 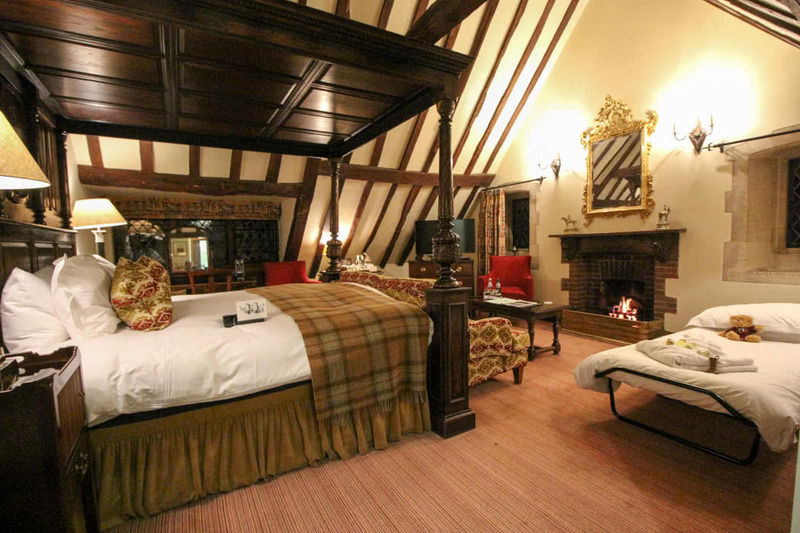 It had an old beamed ceiling, a four-poster bed and an open-hearth complete with a realistic gas fire. I can’t imagine that the room itself had changed over hundreds of years, although the decor must have been recently updated as it, along with the bathroom, was immaculate. 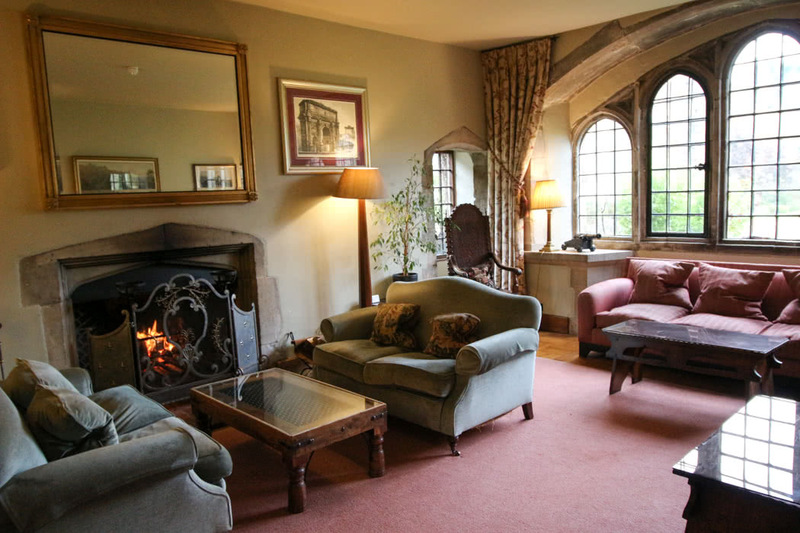 There are a few options for dining and drinking at Amberley Castle. 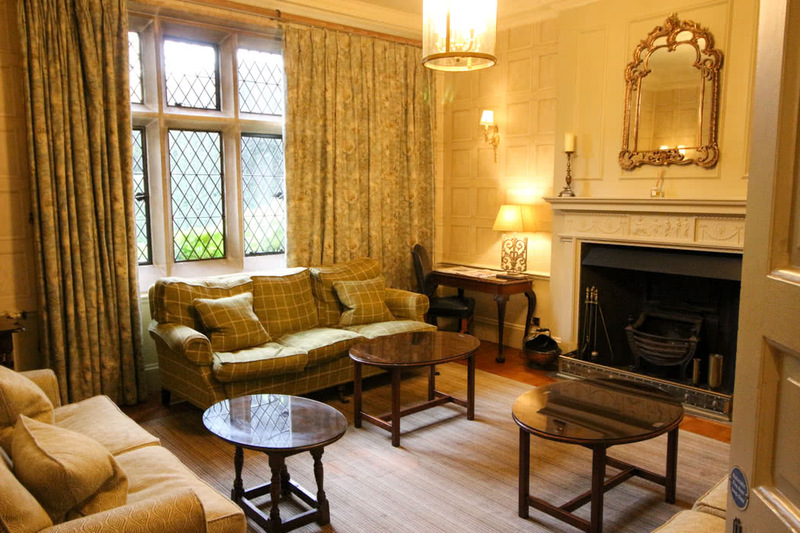 You can snack and drink in one of the three drawing rooms. In the summer, you can find a spot on the lawns under a parasol within the castle walls; these lawns would be an idyllic place to enjoy a beer alfresco under the summer stars. 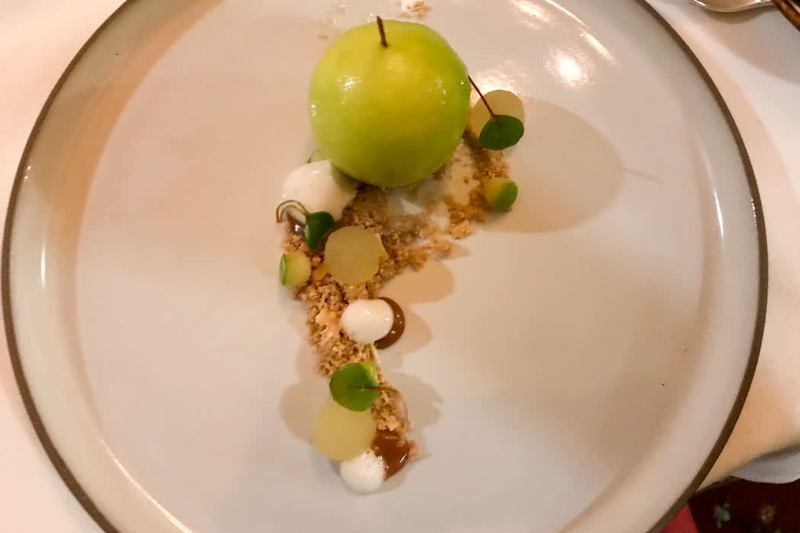 You can also enjoy a 3 Rosette fine dining experience in the main hall, with its barrel-vaulted ceiling, thick castle walls and decorated with guns, swords and historic paintings. Breakfast is also taken in the hall with a small buffet and hot dishes served to your table. 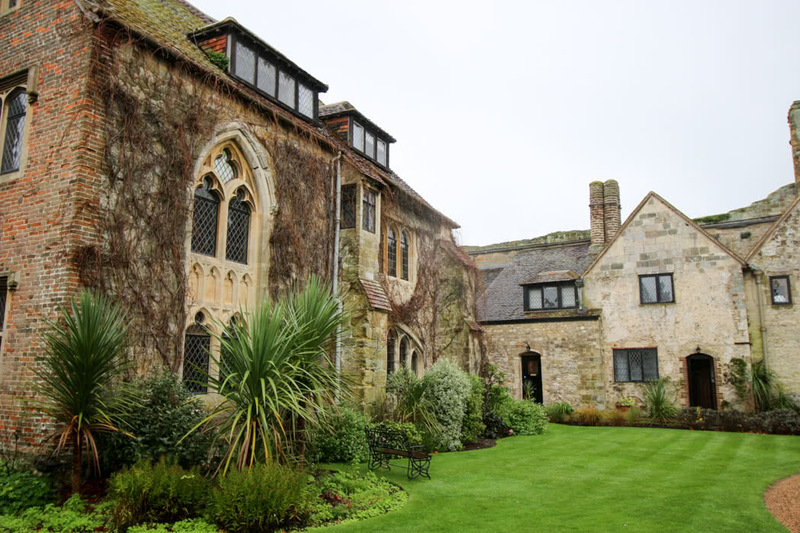 I can honestly say that Amberley Castle is my favourite countryside retreat in England and it should be on the bucket list of any Londoner who yearns for a break in the countryside, or any adult who has an inner child that always wanted to live in a castle. Whether you want to be Rapunzel sitting at the top of your castle turret, or you fancy yourself as a knight in shining armour, this castle is the real fairytale deal!